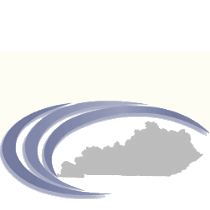 Software Management, LLC, in conjunction with CCLIX participating county clerks offices throughout the state of Kentucky, is pleased to present eCCLIX, the Internet version of CCLIX. Today, the system known as CCLIX ("clicks"), County Clerk Indexing, is being utilized in almost two-thirds of Kentucky's County Clerk offices. Attorneys, title search personnel, surveyors and realtors have grown to depend upon the CCLIX system to provide the fastest possible access to public records archived in the Kentucky County Clerk's office. For more information, contact Software Management's Sales Department by phone at 502-266-9445 or Customer Support at 502-266-9445 or E-Mail Us. *Prorated for your first month, minimum charge of $15 per county. Subscriptions made in the last 7 days of the month will also be charged for next month's access.